Qualifying for her sixth European Cross Country Championships represents more than just a return to form for Elle Vernon. 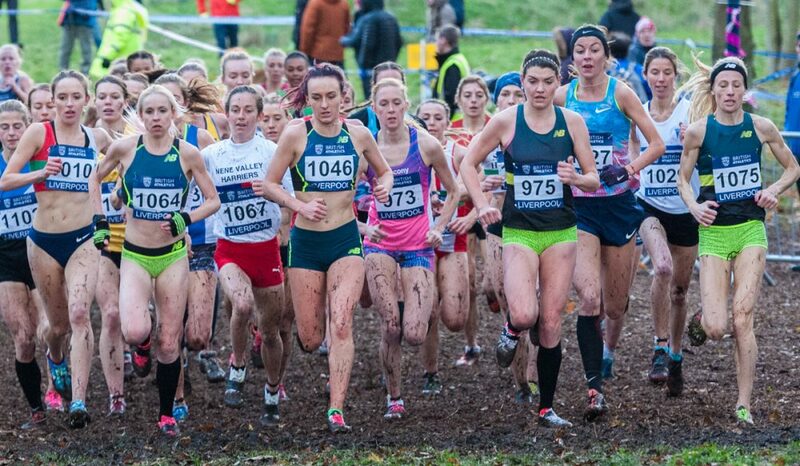 Vernon stormed back into the athletics spotlight once again at the recent European Cross Country Trials at Liverpool, where her fourth place overall and third automatic qualifying position earned the Stockport star her sixth GB vest for the event. This weekend’s championships in Slovakia offer the 33-year-old a chance to prove she still has what it takes to compete against the best after a challenging year. Over the last 12 months, Vernon has changed training groups, returned to her first coach, Dave Turnbull, and fought back to fitness after a recurring injury. The Liverpool Cross Challenge on November 25 was only her second foray on the country in 2017. It followed an impressive outing at the Mansfield National Cross Country Relays three weeks earlier, where she recorded the second fastest leg of the day. “I am delighted to have qualified for my sixth European champs, which only became a realistic goal in early October when training was going well with Dave (Turnbull),” she says. “We then decided to run the relays, which was a good indication of my fitness. I was unsure of my form before this race, and my confidence was low. Vernon has only recently left the New Balance training team in Manchester (September), so was grateful to Dave for offering to coach her again “at a crucial time in the build-up to the cross country season”, adding: “I have enjoyed my training with Dave – he is very matter-of-fact, but always has a two-way dialogue with his athletes, rather than a dictatorial approach”. Vernon began her athletics career with South London Harriers, recording some promising track times as an U17 and U20, before making the tricky step up to the U23 and senior ranks alongside studying for a Sports Science degree at Brunel University, where she secured a first class honours. 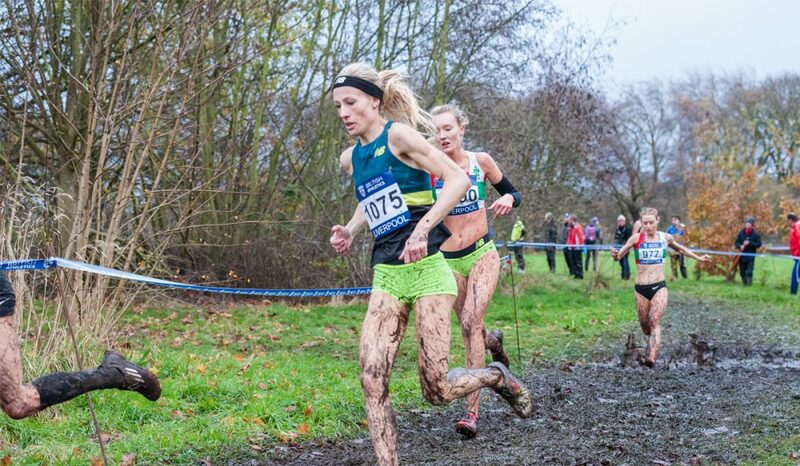 Later that year she pulled on the GB kit on the country for the first time when she competed as a senior at the European Cross Country Championships despite still being an U23. She finished a creditable 33rd, just missing a silver team medal by one position on her debut. She tasted her first international success – albeit on a largely domestic level – when beating off competition from the likes of Non Stanford (now a top GB triathlete) and World Championships marathon 13th placer, Charlotte Purdue, at the Loughborough International 3000m in 2006. Vernon continued to step up to the occasion on the global stage the following year when she was selected for the World Cross Country Championships in Mombasa, Kenya, where she finished 60th overall and fourth counter for the women’s senior team, again while still an U23. Injury troubles curtailed what looked to be an unstoppable rise up the senior ranks over the ensuing years. “I have struggled with injuries since 2006, and have had three operations on a Haglund’s deformity (a bony enlargement on the back of the heel),” she explains. 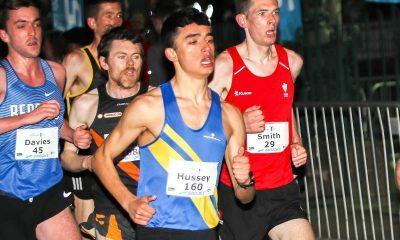 “I irritated both ankles again when running on the track in the Highgate Harriers 10,000m in May last year. I had support from John Rogers (a consultant in Sport and Exercise Medicine based in Manchester) and plenty of rehab, which eventually strengthened the ankles enough to run on grass and trails. 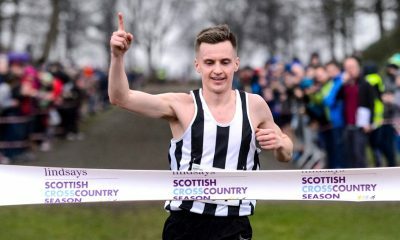 Vernon compete at the Edinburgh International cross country for the first time in 2009 after joining Stockport, finishing 24th, and since then has shone brightly on the country, with four further GB vests earned in the European championships between 2011 and 2015 (finishing 14th, 18th, 20th and 27th respectively), and a second call up to the World Cross Country Champs in 2013, which saw her improve on her 2007 performance with a 46th place result and fourth team counter. She is keen to compete in Edinburgh again in January, and improve on her best result thus far, an impressive third place in 2012 behind Fionnuala McCormack and Gemma Steel, while an Inter-Counties title would not be out of the question in Loughborough next March, considering her pedigree on the terrain and two previous silver medals in the championships under her belt. A few – hugely successful – forays into road racing over the last few years have shown what a versatile athlete she is. 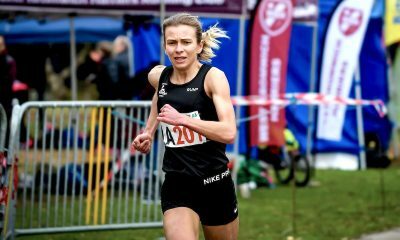 Fast Northern and national road relay performances alongside regular podium position results at the Alsager 5M – including 26:58 and 33:09 5M and 10K PBs from 2012 – point to a bright future should she choose to concentrate on longer distances on the tarmac in future. Elle thanks the following for their continued support: New Balance, SiS for nutrition, Howard Turner – Wilmslow Physio, Mick Firth – South London Harriers, David Turnbull – coach, and Stockport Harriers.